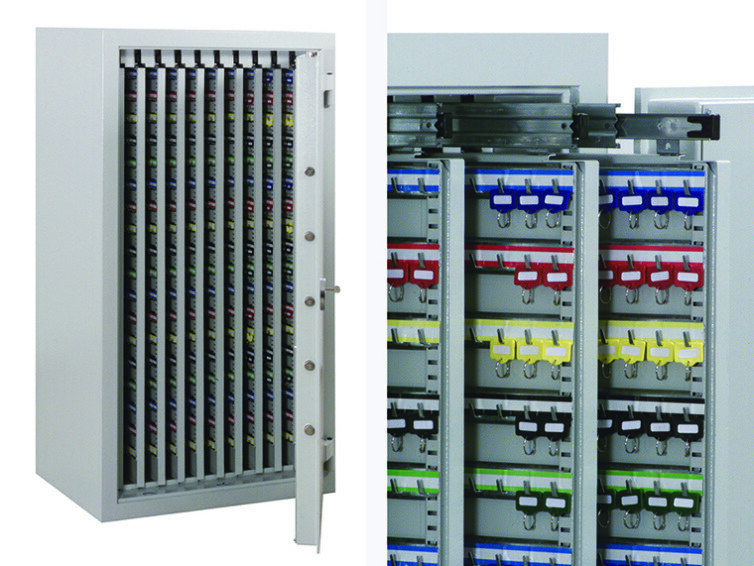 Insafe offer a large range of all types of Security Key Cabinets and Key Safes to suit every need. 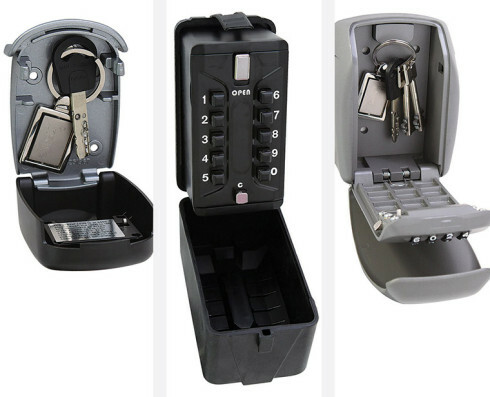 Available with keylock or electronic locking options they come for use internally or externally and to hold a single key to key safes holding hundreds of keys. 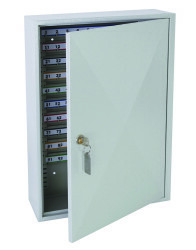 For example on the larger end of the range we have a free standing, high security key safe that holds 950 keys. 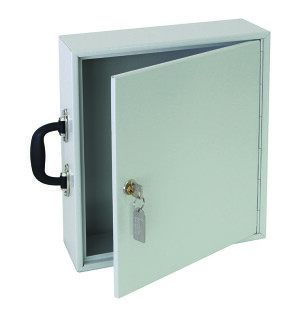 The safe has a heavy duty, robust, double walled, steel exterior with a powder coated finish which is also fire resistant. The interior contains panels on telescopic slides for easy access and compact storage with colour coded adjustable hook bars to accommodate all key sizes. 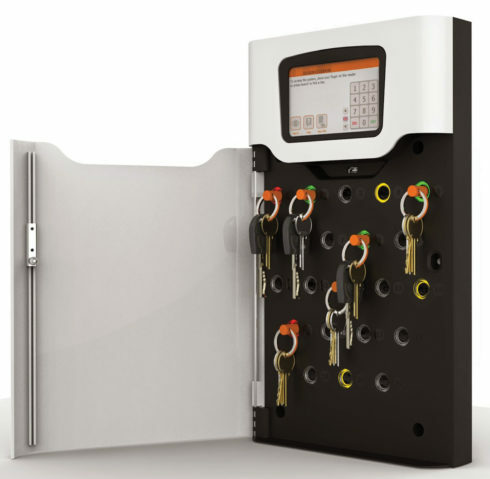 The Guardian Key Track Pro 24 is an efficient, safe and secure key storage management solution helping businesses keep track of their keys to improve security and reduce costs. The Guardian Key Track Pro 24 is designed to allow an authorised person access to the cabinet via the key pad. Their unique log-in code will open the door, illuminate the key(s) associated to that log-in and unlock them for removal. To return the key simply scan the barcode on the intelligent key ring in the integrated barcode reader – the door will open and key position will light up in the cabinet. The full audit trail and inventory in the Guardian Key Track Pro 24 will keep a real-time log of all issued and returned keys – your key inventory will always be up-to-date. The Guardian Key Track 21’s innovative plug and play system provides small to medium size businesses with the very latest in intelligent key management. 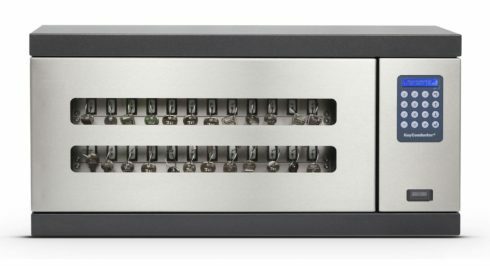 Simple, efficient and cost-effective, the Guardian Key Track 21 helps trace and account for every key or keyset, which are individually locked in place, ensuring that critical business operations are never jeopardised. 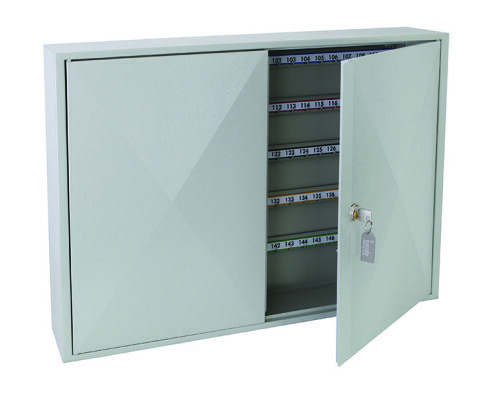 We also offer a range of strong steel cabinets with a powder coated finish and more lightweight construction specifically designed to protect keys with capacities ranging from 50 keys to 200. Fitted with adjustable hook bars to hold keys of varying sizes they are numbered with colour coded bars and colour matching key tags. This range is perfect for the retail market including estate agents, hotels, car garages as well as offices and public sector buildings. A portable version of our lightweight key cabinet comes without the internal hooks and bars and is specifically designed to protect important documents. Perfect for lever arch files. 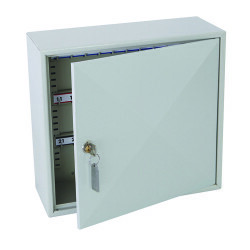 Our Outdoor Key Safes are for wall mounting outside a home or office with 4 to 10 digit combination security. Options are available for use in sheltered areas plus a fully weather resistant version with rubber cover for highly exposed areas.